Happy LAST Friday before Christmas lovelies! Hope everyone had a fantastic week and was able to get all of the holiday shopping they needed to out of the way. I managed to get pretty much everything done, now all I need to do is wrap a few more things and I'll be good to go. I can't believe Christmas is already here. Where does the time go?? With the new year fast approaching I'm trying to be much better about my skin care routine. I know, I know. I say this every year and I am really good for awhile but then I slack off but I'm really going to try to stick to it this year. Luckily, I was introduced to some Nip + Fab products that will definitely make keeping my skin care routine on track, easier. 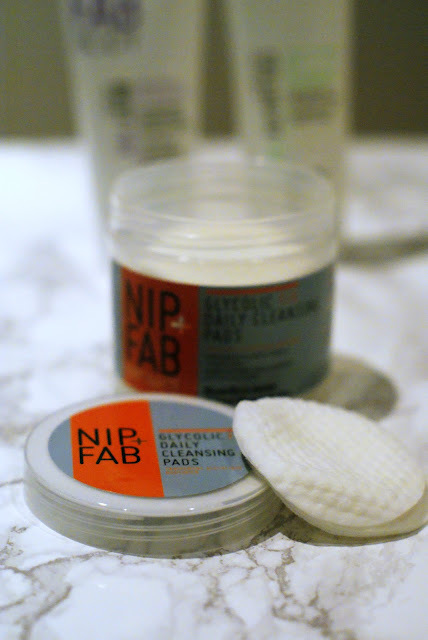 The Nip + Fab Glycolic Fix Exfoliating Facial Pads are like little time erasers in a pad. I've spent years laying out in the intense Florida sun which has lead to some fine lines around my eyes, an uneven skin tone and of course lots of and lots of freckles. These pads have definitely improved the radiance of my skin (in just a few weeks!) and have helped with my hormonal acne breakouts. Definitely a must re-purchase! 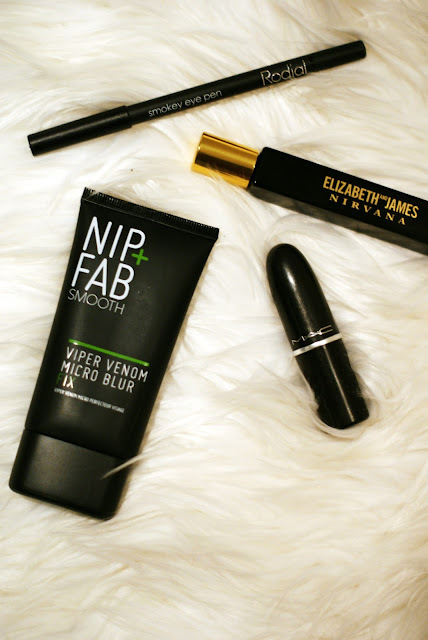 The Nip + Fab Smooth Viper Venom Micro Blur Fix is quite the mouthful to say but it is definitely one of my favorite products. I have rather large pores and those fine lines I mentioned earlier and while this doesn't completely erase them, it does provide a wonderful base for my foundation that makes my skin look selfie ready. It's thicker than other primers I've used in the past so be advised, a small drop goes a long way! The Nip + Fab Cellulite Fix was something I wasn't really needed per say but after I used it for the first time I was definitely impressed. It doesn't have the greatest scent but it doesn't linger so that's a plus and I could definitely notice a difference in the smoothness in my skin after using it but I can't really attest to how it works on cellulite. 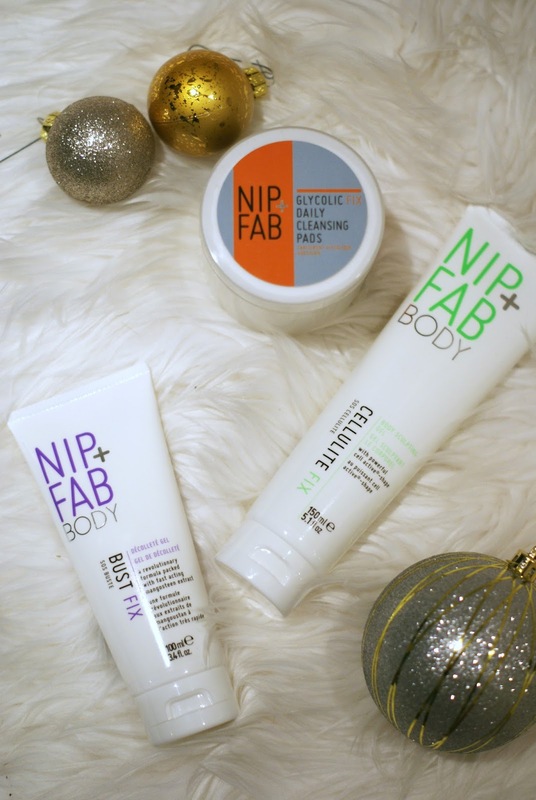 I also was a bit iffy about the Nip + Fab Bust Fix but after reading some reviews I figured "why not give it a try"? I can honestly say that I noticed the skin around my bust was smoother and maybe a bit more firm but did it actually boost my cup size? I can't say that I have. Maybe I haven't been using it long enough so I'll keep testing it out and let you know. 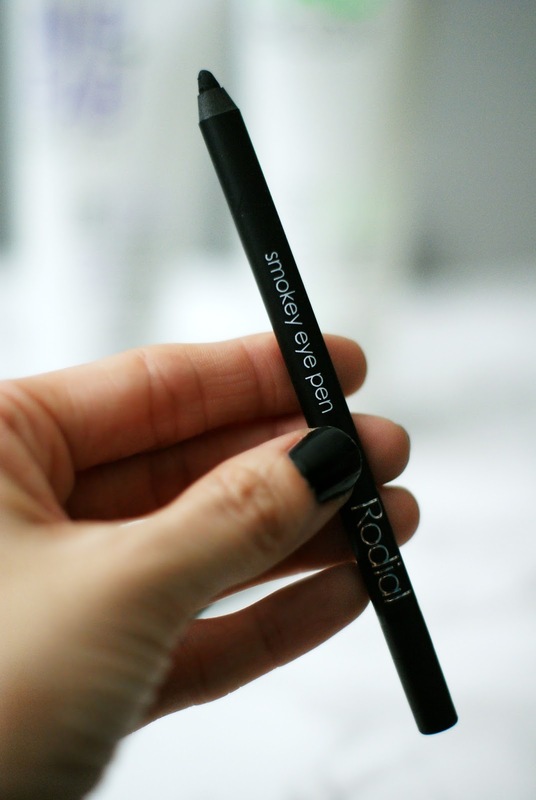 The last product I tried out was the Rodial Smokey Eye Pen which I can't seem to find for sale here in the US but if you can find it, definitely scoop it up! It was super pigmented, glided on easily and smugdged to perfection. And this is coming from someone who is definitely not the best at applying her own makeup. Eyeliner often rubs off on me either making it look like I'm wearing last night's makeup or like a raccoon so I was surprised at how well this stayed on my lids! Never heard of this brand! But now I feel it's a must try! Merry everything! Thanks for the honest review! I've never heard of this brand either, but that micro blur serum might be something I'll have to check out. I have heard so many amazing things about these products! I love them all! I really need to get with it and try some! Happy Holidays gorgeous girl! These products all sound super awesome and really unique! I can tell just by looking at that eyeliner that it's a good one!! Hope you have a very Merry Christmas dear!! Definitely going to check out the Glycolic Fix Exfoliating Pads! Also going to try that venom blur for my pores, not huge, but the ones on my nose are pretty brutal sometimes. Merry Christmas! I have ever heard of this brand thanks for the introduction. I will be on the lookout for that cellulite cream as I definitely need it. Have a very Merry Christmas! I've never heard of this brand but def want to check it out! I'm really intrigued by the cellulite & bust cream!